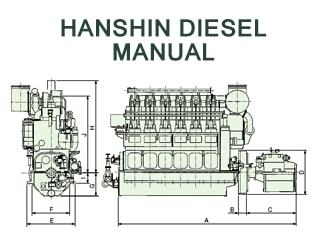 Hanshin Diesel is a very well known Japanese Engine manufacturer. 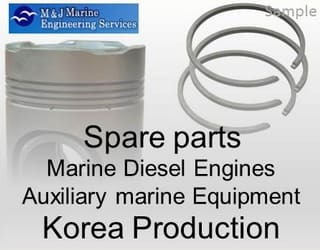 They produce 4-stroke low speed diesel engines of own design: LA series - LA28G, LA32G equipped with a reversing gearbox, LA34 (G) – with gearbox and without gear box. 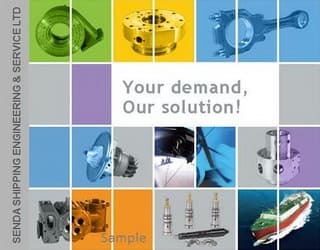 LHL Series - LH28L, LC28L, LZ28L, LH30L, LH32L, LH34L, LH34LA, LH36L, LH36LA, LH38L, LH41L, LH41LA, LH46L, LH46LA. 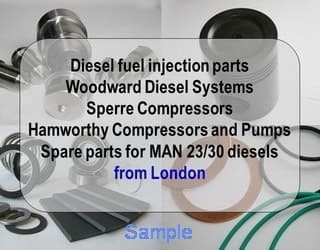 All engines are in line 6 cylinders diesel. Medium Speed Diesel Engine MX and MUH Series - 6MX28 6 cylinder, 8MX28 8 cylinder, 6MUH28A 6 cylinder. 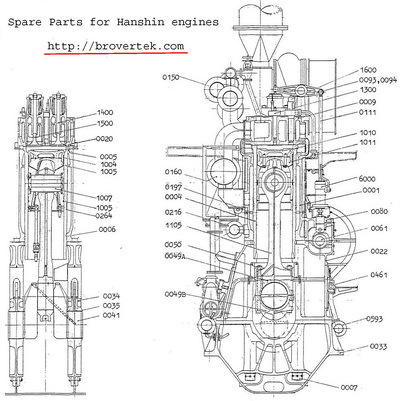 Hanshin 6LU 54 diesel - Section View with parts numbers. 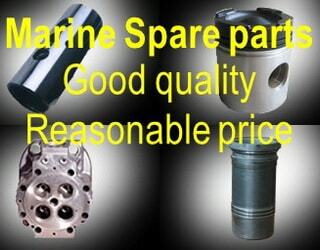 Hanshin diesel engine new and recondition spare parts offers.